As a Yumbles Community Champion, I was delighted to be invited to try out some goodies from The Tiger Nut Company. 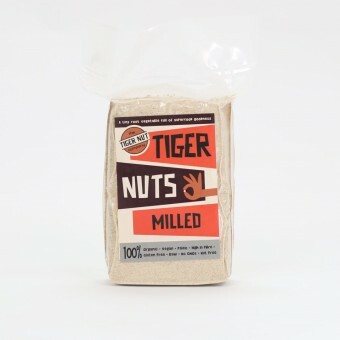 What on earth ARE tiger nuts?! Rather ironically, they are not actually nuts; they are a starchy vegetable and can be eaten raw, cooked, soaked, used as a flour or to thicken things like smoothies and juices - so versatile! 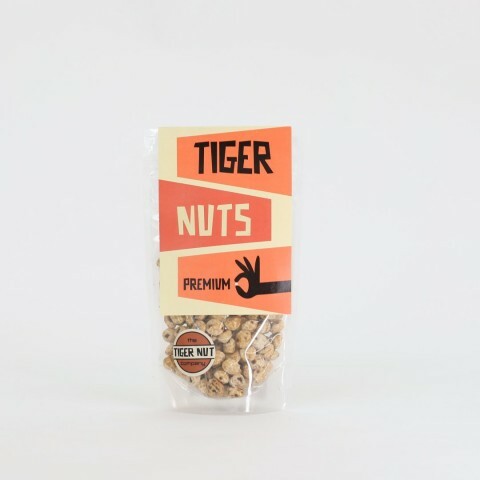 With the Premium Peeled Tiger Nuts from the range, I decided to incorporate them into these delicious, not-so-naughty clean fudge bites, packed with the crunchy tiger nuts plus goji berries, which work wonderfully well together. 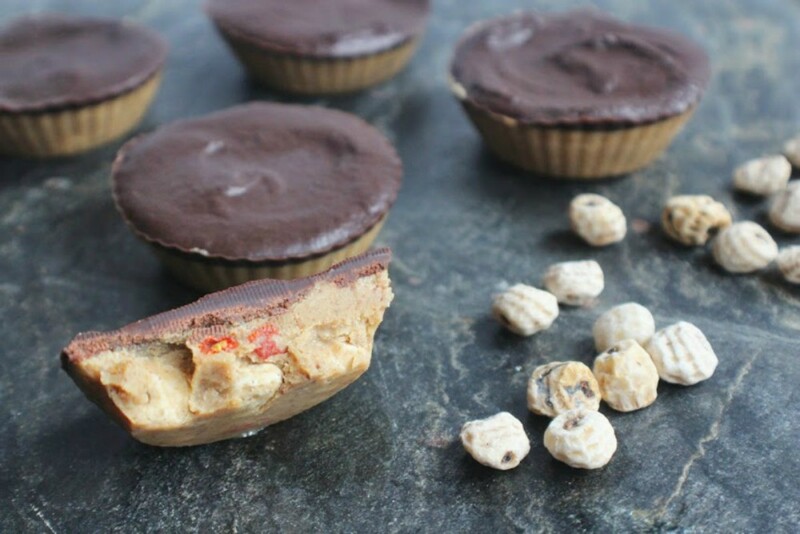 Topped with a raw chocolate, these would make an ideal Easter treat or simply if you’re craving chocolate (a healthier option!). First make the fudge layer: Stir the tahini, date nectar, melted coconut oil, extract and pinch of salt together so you have a smooth, thick mixture. Stir in the tiger nuts and goji berries so they are coated in the fudge sauce.Pour into 6 small silicone cupcake cases and place in the freezer for at least 1 hour. Meanwhile make the raw chocolate - simply melt the coconut oil and chosen syrup, remove from the heat and whisk in the cacao powder so you have a glossy mixture. Pour this over the frozen fudge cups - you only need a little to cover, then return to the freezer for at least another hour. When you’re ready to eat, simply pop out of the freezer 5 minutes beforehand and enjoy!